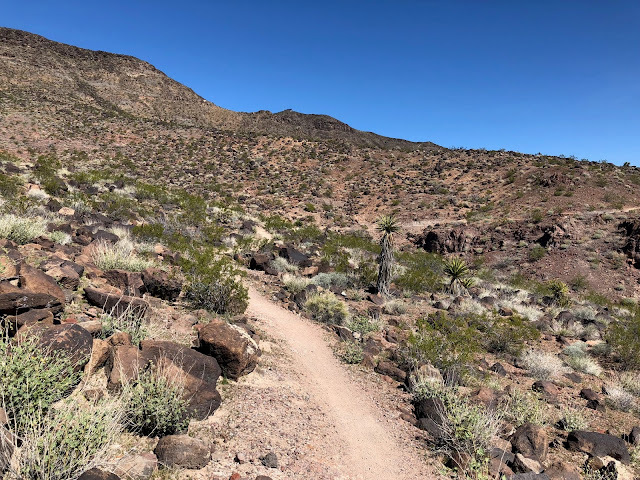 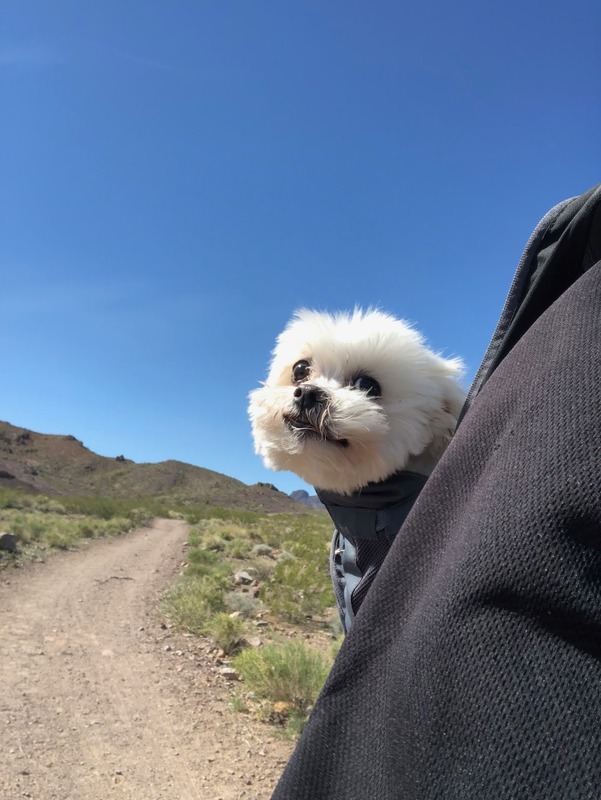 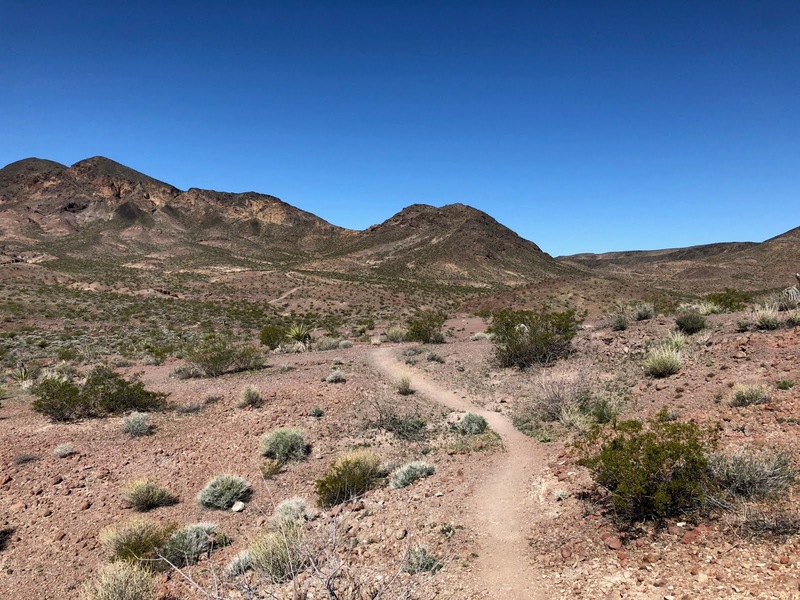 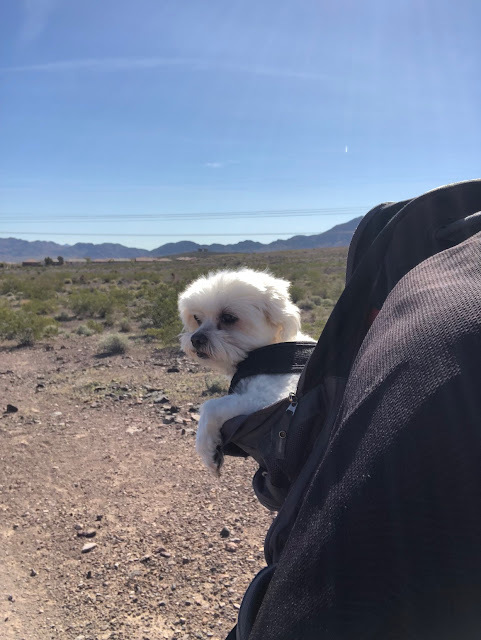 Well I was Vegas bound with a bike and a dog, I thought my doggie would fit in my backpack and turns out he did, I found a place with very mellow trails and with excitement I put rubber down for a good ride. 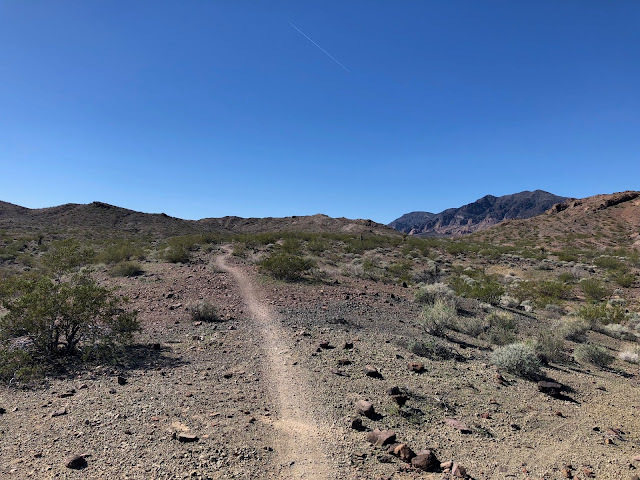 It started off wide and buff and then went to narrow single track with nice views and easy pedaling. The last trail was most demanding and most MTB built, enjoyed the fresh air and stretching the legs so great success!